Most mainstream car manufacturers have been offering lucrative discounts to benefit from the surge in demand for new cars during this time of the year. The biggest beneficiary of this trend is the car buyer, who can drive home his favourite set of wheels at a discounted rate. 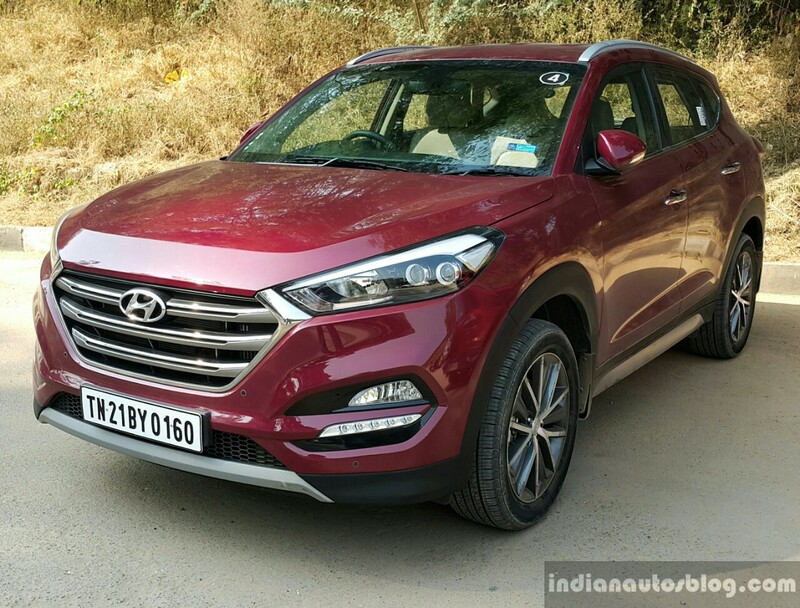 Hyundai Motor India Ltd, the second most popular carmaker in the country, is providing some attractive offers on most of its cars. Here's a look at the Hyundai car discounts for November 2018. 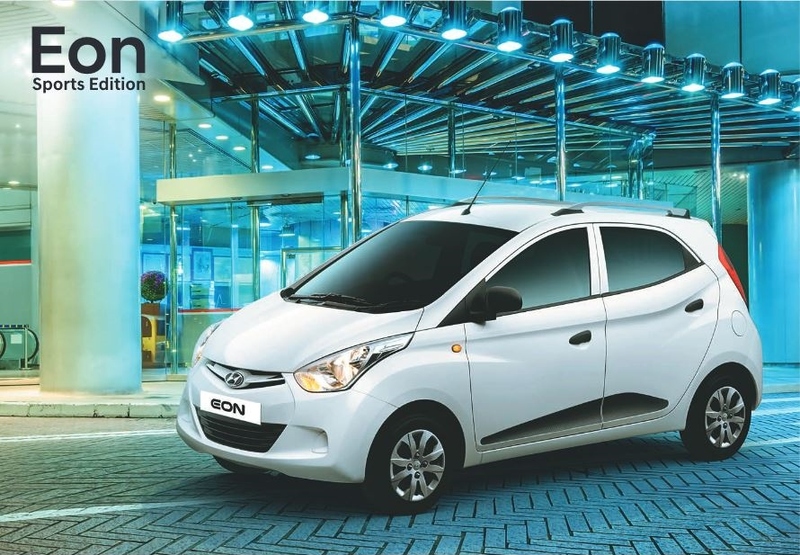 With an average monthly sales of 3,643 units*, the Hyundai Eon has been among the slow-selling models in its segment. Reportedly, the most affordable model in the company's product portfolio will be taken off the shelves by the end of this year. No surprise, then, that the small car is being sold with some lucrative offers. Buyers benefit from a cash discount of INR 45,000. Moreover, an exchange bonus of INR 10,000 can be availed in case he sells off his old car to Hyundai. Additionally, there's a corporate discount of INR 5,000. With a total discount of INR 60,000, the entry-level hatchback can be bought for an effective base price of INR 2.75 lakh** only. With an average monthly sales of 11,098 units*, the popularity of the company's B1-segment contender is second only to the Maruti Swift (19,322 units). In spite of the strong demand, the hatchback is available with discounts worth INR 75,000. 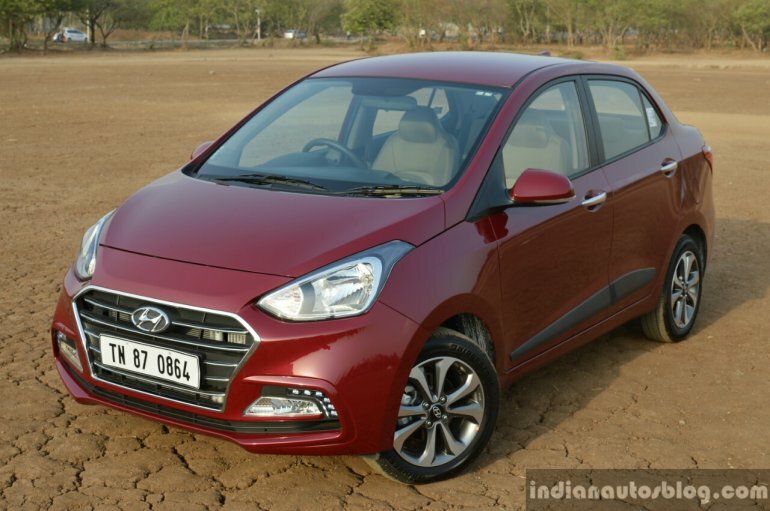 A reason for this could be the fact that the current generation of the Grand i10 is approaching the fag end of its career and will be replaced by an all-new model around mid-2019. Hence, in all chances, the company is trying to sustain the sales momentum before replacing the current model with an all-new version next year. The petrol version is on sale with a cash discount of INR 40,000, while the diesel variant is available with a price cut of INR 50,000. 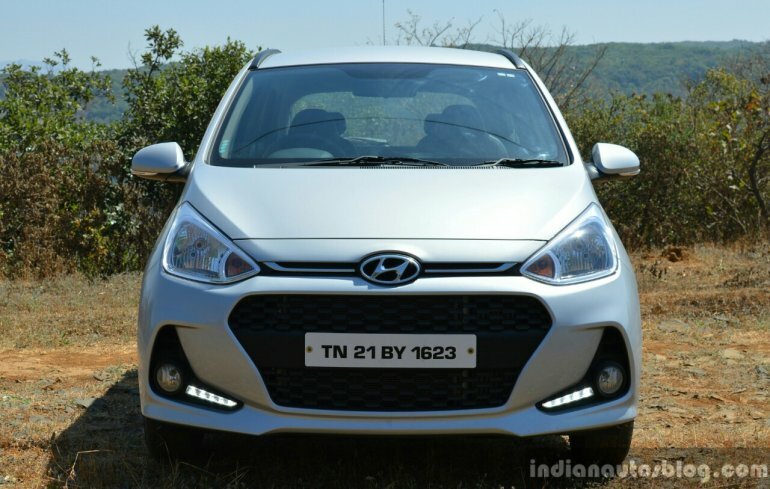 You get another INR 20,000 on any of the versions in case you sell your old car to Hyundai. Furthermore, there's a corporate bonus of INR 5,000. This takes the total benefits to INR 75,000. These lucrative discounts result into an effective base price of INR 4.16 lakh**. With an average monthly sales of 4,036 units*, the Grand i10-based compact sedan has been comprehensively outsold by the likes of Maruti Dzire and Honda Amaze. In a bid to give the sales performance of the Xcent a shot in its arm, the South Korean carmaker is offering discounts worth INR 90,000. The buyers benefit from a cash discount of INR 40,000. 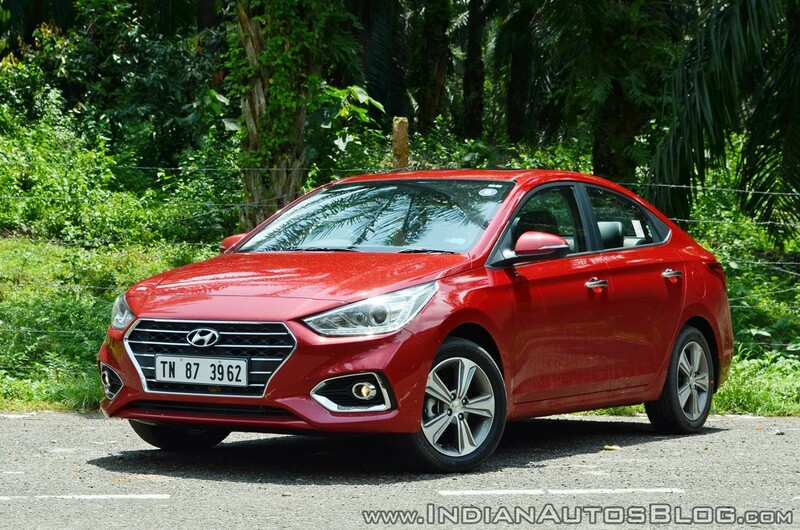 There's an additional discount of INR 45,000 on selling the old car to Hyundai. On top of it, there's a corporate bonus of INR 5,000. This takes the total discounts to INR 90,000, which means the sub-4-metre sedan is now available at an effective base price of INR 4.75 lakh**. 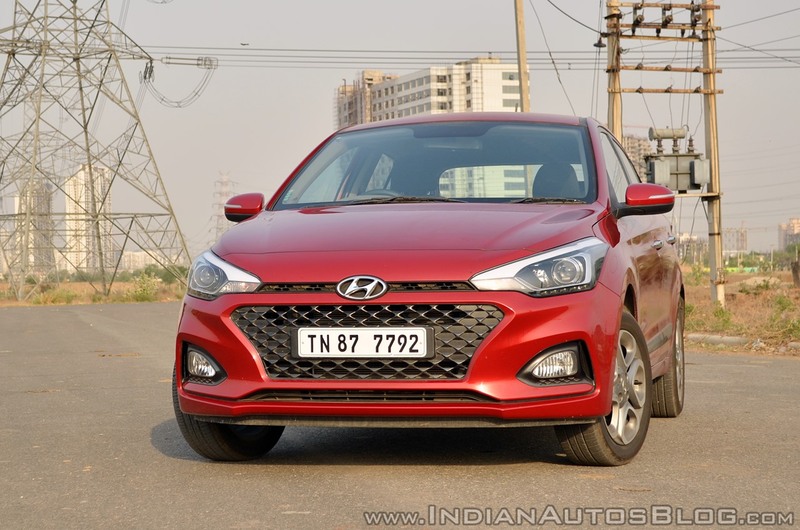 With an average monthly sales of 11,649 units, the popularity of the second generation i20 is second only to the Maruti Baleno (18,368 units*). The Elite i20 received a mid-cycle update in February 2018 and is currently among the most well-sorted models in its segment. The i20 Active is the crossover-ish version that appeals to those looking for SUV-like traits. The duo is presently available with a cash discount of INR 20,000 along with an exchange bonus of INR 30,000. With a total price cut of INR 50,000, the i20 is now available at an effective base price of INR 4.93 lakh. With an average monthly sales of 3,536 units*, the Hyundai Verna has been clocking decent figures on the monthly sales charts. The buyers of this well-rounded sedan benefit from a cash discount of INR 20,000 along with an exchange bonus of another INR 20,000. Furthermore, there's a corporate discount of INR 20,000, which takes total benefits to INR 60,000. With this, the third generation model of the company's popular Honda City rival is on sale at an effective base price of INR 7.32 lakh. 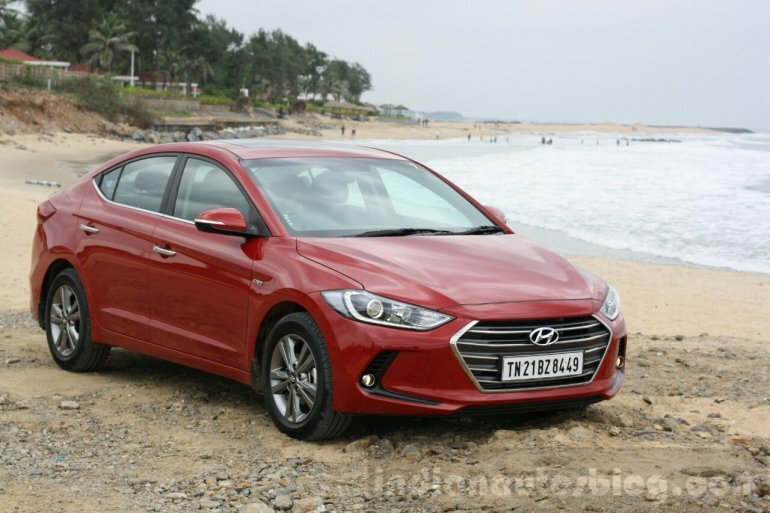 While the Hyundai Elantra is a well-rounded product, its rather dismal average monthly sales performance of 110 units* is due to the general disinterest of buyers in C-segment sedans. For November 2018, however, the company is trying to boost the popularity of this model by offering free first-year insurance worth approx INR 85,000 and an exchange bonus of INR 30,000. Furthermore, there's a corporate discount of INR 30,000. As a result of these discounts, the base price reduces to INR 12.26 lakh**. The Hyundai Tucson (average monthly sales - 141 units) has been outperformed by the Jeep Compass (1,308 units). To boost the popularity of its flagship model, the company is offering free 1st-year insurance, which is worth nearly INR 1 lakh. Additionally, there's an exchange bonus of INR 30,000 and a corporate discount of INR 50,000. These offers bring the effective base price down to almost INR 16.84 lakh**.